Bloom Time: Early summer to autumn's frost. 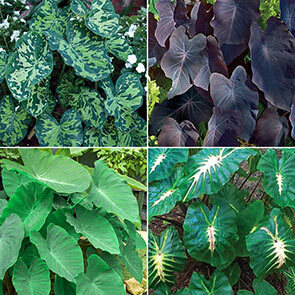 These exotic treasures are larger than life! 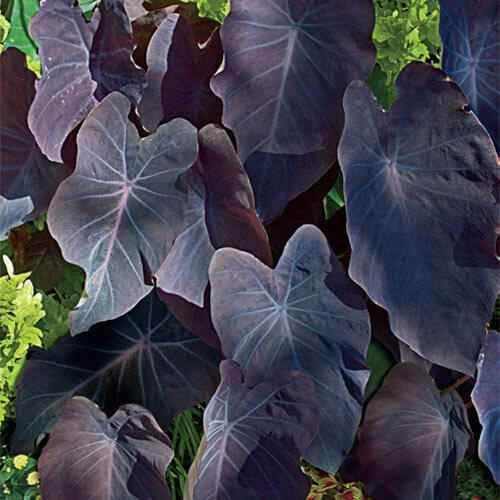 Breck's® Elephant Ears bring the spectacular size and beauty of tropical foliage to you! 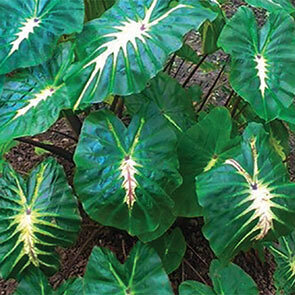 When was the last time you saw a plant so magnificent, so commanding, it left you speechless? You may be at a loss for words when it comes to Elephant Ears from Breck's—but we're certainly not. Exotic Elephant Ears are beloved for leaves that are so astonishingly immense, you can practically hide among them. Gently swaying in the summer breeze, they reveal uncommon contours and lush colours. 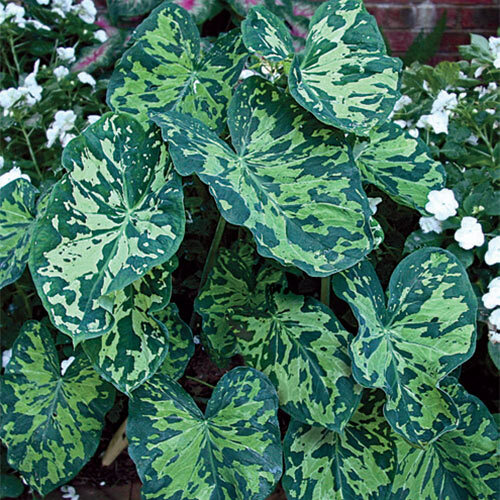 Grow them in open areas as specimen plantings. Or position them among existing beds to add dramatic height and interesting texture. 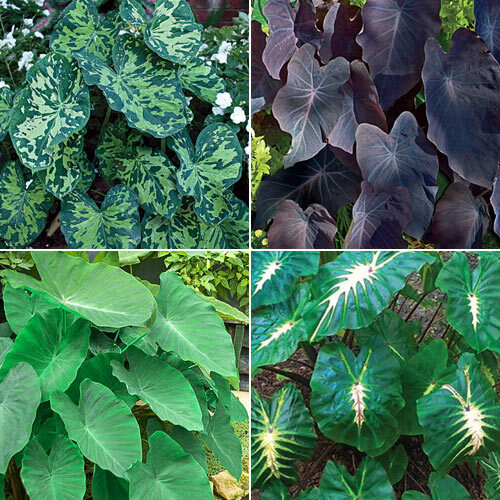 Easy to grow and care for. You will receive prime quality, #1 specimens at the proper planting time for your area. Elephant Ears prefer bright sunlight, but also do well in partial shade. They'll reward you with exceptional size and beauty from early summer till autumn's frost. 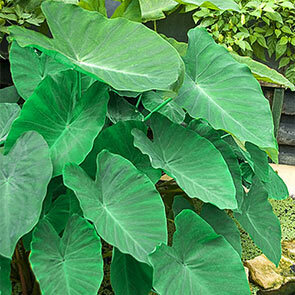 In zones 3–7, we recommend bringing your Elephant Ears inside for winter storage,then replanting in spring.